John is one of the most highly respected and well liked lawyers in the state. He attended Loyola College of Montreal in 1967 and received his Bachelor of Arts degree from Colby College in 1971 where he was a Charles A. Dana Scholar. 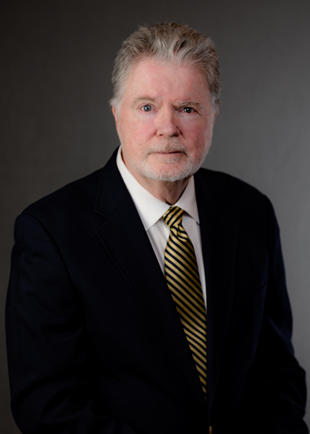 After graduating from the University of Maine School of Law in 1975 he served as Assistant District Attorney for York County in Maine for two years, gaining invaluable trial experience in both Superior Court and the Maine District Court. John joined the firm in 1977 and is now a Managing Partner and a Trustee. He has successfully concentrated his practice in the areas of workers’ compensation and personal injury. He has been formally recognized by his peers since 1990 as one of the best lawyers in his field. He served as the chairman of the Workers’ Compensation Committee of the Maine Bar Association and was the Editor-in-Chief of COMP, the Maine Workers’ Compensation Journal, the leading periodical in Maine Workers’ Compensation law in the state. He is a member of the American, Maine and Cumberland County Bar Associations and the Maine Trial Lawyers Association. Over the years, John has played an integral role in the firm’s growth from four lawyers and three secretaries to a staff of over thirty highly qualified lawyers, paralegals, administrators, and assistants. In addition to managing the firm’s affairs, he has continued to handle a full caseload for a very loyal and expanding client base. Along the way, he’s found time to work with a number of local charities. He and his wife Karen live in Portland and have four children. Hon. John R. McKernan, former Governor of Maine Robert A. Moore, President and CEO, Dead River Co.
Christopher Emmons, President, Gorham Savings Bank, John D. Walker, President, Rich Exterior Solutions Co.